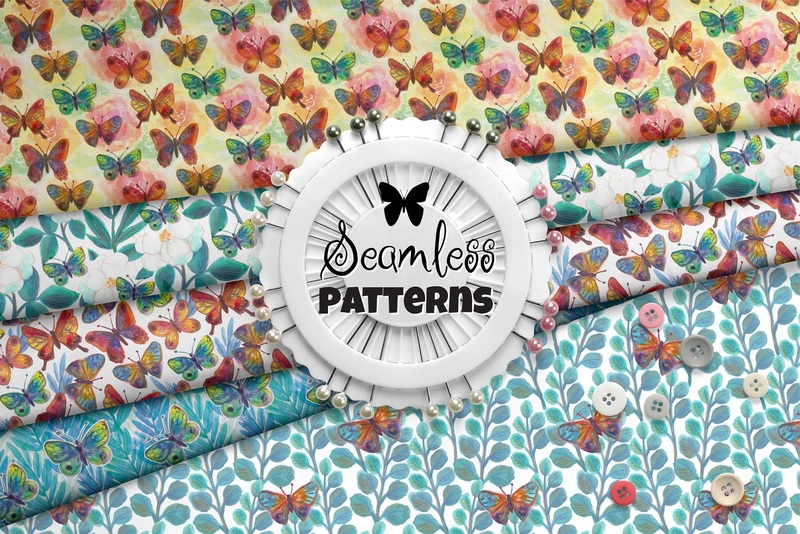 Butterflies and Flowers – a collection of 5 patterns with a summer mood. 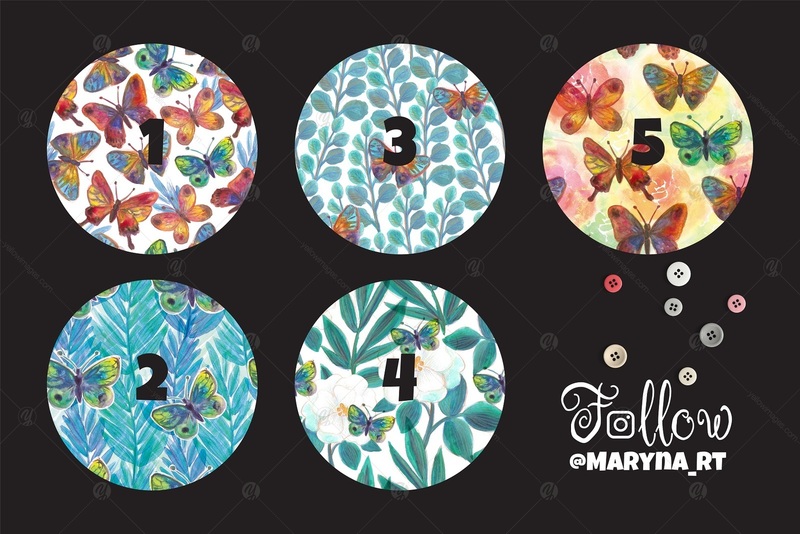 Bright watercolor textures will look good both on postcards and on fabrics. Also great for wallpaper, wrapping, web backgrounds and other pattern fills. 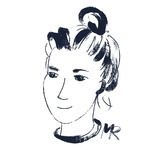 – RGB mode, but can be converted to CMYK without loss of color. Please feel free to contact me if you have any questions. Happy creating!